The quality of Italian extra virgin olive oil remains high despite reports that 2018 was one of the worst-ever seasons for national production. Online cookery stars Amanda Tastes and Tianluo Guniang have used olive oil in many of their recipes, recommending this special ingredient for its health properties and great taste. A study of non-smoking women over 40 in Taiwan showed possible links between exposure to cooking oil fumes and chronic bronchitis. Italia Olivicola and UNAPOL, are glad to announce they will participate at the Food & Hotel China 2018 Expo in Shanghai from 13 to 15 November. Olive oil is a “versatile” ingredient that can add flavour to all sorts of dishes, according to a Shanghai-based chef from a renowned multinational hotel chain. 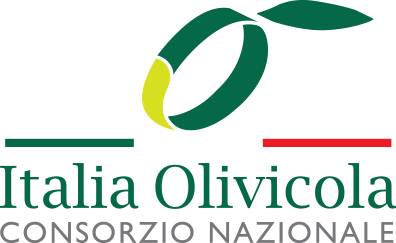 From the merger between the CNO and UNASCO is born ITALIA OLIVICOLA, the biggest organization of olive-producers at national level. One of the priority objectives is to promote the culture of quality and to contrast the frauds and counterfeits. Research published earlier this year shows that eating a healthy diet and consuming olive oil were relevant in preventing frailty and cognitive impairment into old age. A 2018 study found extra virgin olive oil produced less of a harmful substance when heated to high temperatures than other cooking oils. “Taichi Project” allows everyone to know more about olive oil! European olive oil producing countries have been promoting olive oil routes linked to national history, culture and the environment. The TAICHI project promoted by CNO, UNAPOL and UNASCO highlights a new opportunity to further enhance quality production in olive oil industry. Win a dream trip to Italy and other prizes through the OurOliveOil.com app and loyalty programme! The TAICHI project, co-funded by the European Union, offers you the chance to win a fantastic trip to Italy, the land of olive oil, and loads of other prizes. A bottle of high-quality olive oil can be seen as a thoughtful and healthy gift for family members, friends and even business partners. Researchers say that polyphenols, found in extra virgin olive oil, may reduce risks of heart disease, diabetes, some types of cancer and Alzheimer's disease. "The Mysterious Cook" is a short film with a culinary-romantic twist by celebrated Italian director Giacomo Arrigoni starring Esmeralda Spadea (卫艾达) and Yoon C. Joyce. The TAICHI project, supported by the EU and powered by Italian olive industry experts from CNO, UNAPOL and UNASCO, dispels common misconceptions about olive oil. Italy’s main olive and olive oil producers are working in China and Taiwan to promote the virtues of their “liquid gold”, the essential ingredient of the Mediterranean diet. Recent olive oil fraud cases in China deeply concern the TAICHI project team. We will do our best to protect the consumers in Mainland China and Taiwan. Following the EU olive oil policy, the TAICHI project aims to protect consumers in Mainland China and Taiwan from food safety issues and fraud. Many respected Chinese chefs highly recommend using healthy olive oil in Chinese cuisine. The TAICHI project highlights extra virgin olive oil as one of the healthiest food trends of 2018, the Year of Italian Food in the world. European olive oil production technology has recently been modernised in line with the latest research and innovations to meet EU quality standards. Indoor air pollution from cooking fumes is associated with lung cancer, studies show. The TAICHI project experts give advice how to reduce health risks for your family. The Italian Ambassador to China, Ettore Sequi, sees the TAICHI project as part of the Chinese ‘Belt and Road’ Initiative in the food safety sector.